In thinking about the trajectory of an artist’s career, I keep coming back to the role of the collector, which is absolutely essential for someone to progress from obscurity to a known and celebrated entity. Collectors are often under-sold as important links in the chain to fame for artists. They can be misunderstood by the general public as moneyed predators trying to get as much as they can for as little cash as possible or, worse, some rarefied class of pickers with big bucks, only on the lookout for the next hot trend. And, yes, those types of collectors do exist. Just wander around the halls of the Miami Beach Convention Center during the annual Art Basel/Miami Beach extravaganza in December and eavesdrop on collectors negotiating with dealers for works by up-and-coming artists as yet unknown to the larger collecting world. I’m thinking of collectors with a genuine, even a life-long interest in one area. The late John Fulling of Lighthouse Point, Florida is one example. He amassed a sizable and impressive collection of pre-Columbian artifacts, arranged for an exhibition of them at the Smithsonian Institution, and donated all the works to this institution. Then Fulling turned his focus on Haitian art. When he learned that Andre Pierre was the pre-eminent painter in Haiti, he commissioned the artist to do an impressive series of the largest works he had ever created. Fulling found an interviewer to speak to Pierre about the meaning of each work, had the words translated into English, and published the results for family and friends. It is a work of invaluable scholarship about Andre Pierre and his deep, personal relationship with a pantheon of Haitian Vodou (voodoo) spirits. Fulling’s collection included bigger-than-life-size sculptures in wood, one of which stood near the front door of his large home, delicate drawings by the inimitable Rigaud Benoit, and outstanding paintings representing masters of the first and second generations of the mid-century Haitian art renaissance. The man was passionate about these works and justifiably proud of his accomplishments in regard to putting Andre Pierre in a context no one else had ever done. Dr. Walter Neiswanger, a physician, philanthropist, and arts patron, is another admirable collector. He donated the first significant collection of Haitian art to a U.S. museum in Davenport, Iowa in 1967 (now known as the Figge Art Museum). Erna and Richard Flagg’s outstanding collection of Haitian art was donated to the Milwaukee Art Museum in Milwaukee, Wisconsin. And, for more proof that the midwest section of the country is a hotbed for Haitian art, the Waterloo Center for the Arts in Waterloo, Iowa boasts of the largest collection of Haitian art in any U.S. museum, thanks to the generosity of collectors with a hope for preservation and appreciation of these works in future decades. Then there is Ramapo College in Mahwah, New Jersey. It can rightly brag about the Morris/Svehla collection of Haitian art and valuable pieces donated by Selden Rodman, the late scholar, author, and leading authority on Haitian art. Some of the best works in Haitian art ever created can be found at Ramapo. Like these other collectors, Winslow Anderson was similarly smitten with Haitian art. 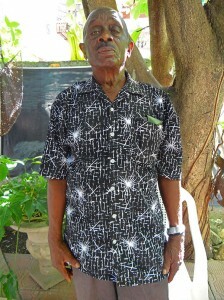 From 1948 to roughly 1989, he travelled to Haiti at least once a year and bought from Le Centre d’Art in Port-au-Prince. His collecting acumen was showcased in the catalog “Winslow Anderson Collection of Haitian Art” from the Huntington Museum of Art in Huntington, West Virginia. It features the largest body of Montas Antoine paintings I had ever seen. (Antoine, by the way, is recognized but not yet fully given his due by the academic world). The joy of collecting may have been enough for these seminal figures in the cause of Haitian art. But their efforts will prove invaluable to museum visitors and scholars, now and in the future. It is time to understand and praise their pursuit of cultural preservation. It’s no wonder Miamians want to claim artist Edouard Duval Carrie as their own. The Haitian-born visionary now calls Miami, Florida home. Though his creations — paintings, sculptures, and mixed media concoctions — are firmly rooted in the religion of Haitian Vodou (voodoo) and the spirits in its pantheon, the artist is a magician of the contemporary and the real, as much as of the unseen and spiritual. Lucky for us Floridians, Duval Carrie exhibits regularly in the region. He has a brand new show called “Edouard Duval Carrie: Imagined Landscapes,” opening soon at the new Perez Art Museum in Miami. It is set to run from March 13 to August 31. Don’t expect to see anything by him that you saw previously, like the oversized, lit-from-inside heads of Vodou spirits at the Lowe Art Museum on the University of Miami campus in Coral Gables or the paintings of tearful women inspired by the tragedy of 9/11 at Bernice Steinbaum Gallery in Miami’s Wynwood district. This show features the newest evolution in his process — works created in the past year. Also different for Duval-Carrie, known as a colorist, is the palette employed in the Perez Art Museum exhibition. Black and silver glitter are exclusively used in creating lush tropical scenes that reference specific 19th century paintings from the Caribbean and Florida. These works by artists like William Heade and Frederick Church were commissioned as part of colonial interests to promote economic development, according to the invitation to the show. Collectively, they envisioned the Caribbean as the new Eden. “Known for his innovative adaptations of traditional Haitian iconography, which he engages in order to address contemporary social and political conditions, Duval Carrie is presenting a series of large-scale paintings and sculptures,” states a press release for the exhibition. In 2000, the artist’s magnificent show “New Work: Edouard Duval Carrie, Migrations” opened at Miami Art Museum. Featuring paintings and sculptures, this overview of his work included boats hung from the ceiling and populated with Vodou spirits making a voyage to the New World. That same theme — of leave-taking and abandonment of the mother land — informs a permanent installation at the Museum of Art in fort Lauderdale, Florida. Created with the help of 12 students and teachers from the city’s Dillard High School, “The Indigo Room, or Is Water Soluble” is a series of panels illuminated from behind that portray this voyage away from Haiti, along with symbolic drawings, called veves, of the spirits. objects, and photos. The beautiful installation was unveiled in 2003 as a visual representation of Haitian history and contemporary Haitian experience. Always re-inventing himself and evolving, Edouard Duval Carrie is the best-known expatriate Haitian artist. But, not surprisingly, he would prefer to be known as more than that. Having exhibited in such diverse foreign venues as the contemporary art museum in Monterrey, Mexico and biennials in Sao Paulo, Brazil and Havana, Cuba, the artist deserves the right to be called an international or global artist. See his works in my book, “Masterpieces of Haitian Art,” and on the artist’s web site www.edouard-duval-carrie.com. Sunday, January 12th, marked a grim anniversary, drenched in the blood of many thousands of people who died and were injured in the earthquake of 2010. The Miami Herald’s Issues & Ideas section of that day’s newspaper has the statistics — 316,000 dead and 300,000 injured. It is sobering to reflect on the devastatingly large human loss from which so many families in Haiti are still suffering. Husbands and wives, mothers and fathers died. Children were orphaned and parents left bereft, with their offspring taken from them. Then there is the cold hard fact of displacement. According to the Miami Herald, 174,974 people were still living in makeshift camps as of last September. Since there were 1.5 million people in camps right after the earthquake, this relatively smaller number seems like progress. But is it? Shouldn’t there be NO camps at all and people housed in structures strong enough to withstand the next terrible earth rumble? And who is to say there won’t be another earthquake of stunning proportions within the next decade? Yes, Haiti can re-build, maybe even better, if not also wiser, in regard to the ground’s unpredictable seismic shifts. But Haiti cannot re-build in exactly the same way. Much of what was lost in the way of buildings, artifacts, and art is gone forever and cannot be re-claimed, re-imagined, or re-constructed. The visual heritage of the country should not be given short shrift. In fact, more attention needs to be paid to the efforts of a few groups still mindful of Haiti. One worth honoring is the Toussaint Louverture Foundation, based in New York state. It is committed to repair the Musee d’Art Haitien du College St. Pierre in Port-au-Prince. With an exhibit and sale of original Haitian artworks last September, restoration on damaged paintings at the museum has begun. This work proceeds as a result of the sale of 36 paintings at the exhibit and net proceeds of $31,000. But the monetary goal of the foundation is considerably larger — $220,000. To make a donation to the cause, telephone 1-917-499-3638. Or email ToussaintLouvertureFoundation@gmail.com. Now is the time when you hope Haitian luminaries like singer Wyclef Jean, who once had political aspirations to be the president of Haiti, are privately holding soirees with their moneyed friends to help re-build Haiti and save its artwork. This is the time when good people like actor Sean Penn may be operating in bigger ways than we know to save the adopted country he loves and continues to help. Damaged and endangered were important archives, libraries, and personal collections of artworks. The situation right after the earthquake must have seemed hopeless. But consider what good works have been done since them, due to the collaboration and financial support of the Broadway League, USAID, and the Affirmation Arts Fund, among other organizations that have stepped up. At the Centre d’Art in Port-au-Prince, a place of huge historical significance for the cause of Haitian art, 4,000 paintings and more than 500 sculptures have been treated. The team from the Smithsonian managed to save three Biblically inspired murals from the Holy Trinity Episcopal Cathedral — a miracle in itself. The 3,000-item Lehmann Vodou collection in a Petionville home also got a visit from the team. It is a spectacular gathering of objects I was privileged to see in 2003. In total, the Smithsonian team saved and treated 35,000 items in Haiti in different places. Its members also left a legacy of knowledge, having trained 150 Haitians in basic conservation work. There is more good news. With help from the Stiller Foundation, Quisqueya University in Port-au-Prince is building and operating a cultural conservation center on campus. Conservation arts and sciences will be on the curriculum. The Smithsonian plans to send experts to the university as consultants. All of these efforts are remarkable and worthwhile. So how can you help Haiti? Go there. Buy the art on streets and in galleries. Volunteer at an orphanage. Or send donations to charities with a proven track record of consistent help to Haiti, like Doctors Without Borders and Food for the Poor. Another way to consistently help Haiti is to become a collector of Haitian art, which doesn’t require a king’s ransom. Most of the art produced in Haiti during the last 70 years is well within the affordable range for a middle-class American. Whether you never get to Haiti, you can still support the country by celebrating the vibrant tradition of its art in all forms. How lovely to hear from Reynald Lally, a gallery owner in Haiti, wishing me a happy new year and updating me on the famous Haitian artist La Fortune Felix. A picture of the artist was attached to the email. He is wearing a nearly identical expression as in a photo I took of him at his St. Marc home in the late 1990s. The place of La Fortune Felix, born in 1933, within Haitian art has long bothered me. He hasn’t yet received the acclaim and adulation of his peers. Yet few among his generation of artists have lived as long and produced as many worthy paintings, each decidedly different from the last. This latter point was made to me with someone in a privileged position to study and appreciate the paintings of Felix — his exclusive dealer in Haiti, the late Dr. Carlos Jara. It was my friend Carlos who owned the largest number of Felix paintings among all collectors. Years ago, he took me to a large home in Petionville (not the place where he lived) to show me stacks upon stacks of them. Carlos, with his discerning eye and impeccable taste, named Felix his favorite artist. In his estimation, no one else came close, though there were many superior paintings by others on which he lavished praise. The observation by Carlos about the variety in Felix paintings rings true today. The artist has worked in a remarkably consistent style. But the greatest admiration is due his imagination and the unending wellspring of creativity that informs his scenes of Vodou (voodoo) personages, officiants, celebrants, and ceremonies. His paintings are narratives with a lot going on, rather than placid representations of Vodou (voodoo) spirits in mortal form. Without an education in Felix’s remarkable oeuvre, one doesn’t have to look far on the Internet to gain a working knowledge of what makes the artist so special. On the web site of Galerie Macondo in Pittsburgh, Pennsylvania — www.artshaitian.com — you can find his painting “Family Travail” with women, men and children working in preparation for a ceremony. They occupy a green glen where flowers bloom and vines wrap around a tree. Every action, every living thing seems to be in perfect harmony. Paintings by La Fortune Felix from the web site of the Haitian Art Company in Key West, Florida are similarly alive with activity. One untitled work shows a line of men and women carrying a fruit basket, bundles of twigs, and axes as they walk down a steep path to a woman digging a hole in the ground. Is she working on a fire pit or a grave? In another untitled work, a bearded man with a sword prepares to sacrifice a pig. He appears to be dancing. Around his waist is an oversized beaded belt. The scene is set in a shadowy place with curtains of green and yellow foliage punctuated by red flowers. A master of drama, Felix was given a chapter of his own in the seminal book “Where Art is Joy: The First Forty Years of Haitian Art” (1988) by Selden Rodman. The author says that he and museum director Pierre Monosiet discovered the artist about the same time in the late 1970s. A change in his work came when Monosiet encouraged him to switch from slowly-drying oil to quickly drying acrylics. “His inspired colors come from the fast-drying acrylics: he plays with his colors as Hyppolite never could,” said Monosiet in the book. Ah, and therein lies the attraction and unexplainable pull that Felix exerts on his admirers. All cannot be known about many of his paintings. Yet we want to know more in order to understand and enhance our appreciation for his work. But is this necessary? Or is it even possible? Other books about Haitian art ignore the artist altogether, an oversight explained as either a reflection of someone’s collecting taste or access of the collector to the artist’s work. Felix is left out of another significant publication of that decade, “Haitian Art: The Legend and Legacy of the Naive Tradition” (1985) by L.G. Hoffman. But other books are catching on to the Felix magic. He is included in “Haiti: Anges & Demons” (2000), written in French. He is called an artist from the primitive tradition whose iconography includes supernatural characters and their attributes, like the cross of the Baron, the boat of Agoue, and the snake of Damballah. His paintings — revealing and surprisingly different from others that we have seen published — are pictured in this important book. There is no equivalent of La Fortune Felix in Haiti, now or ever. 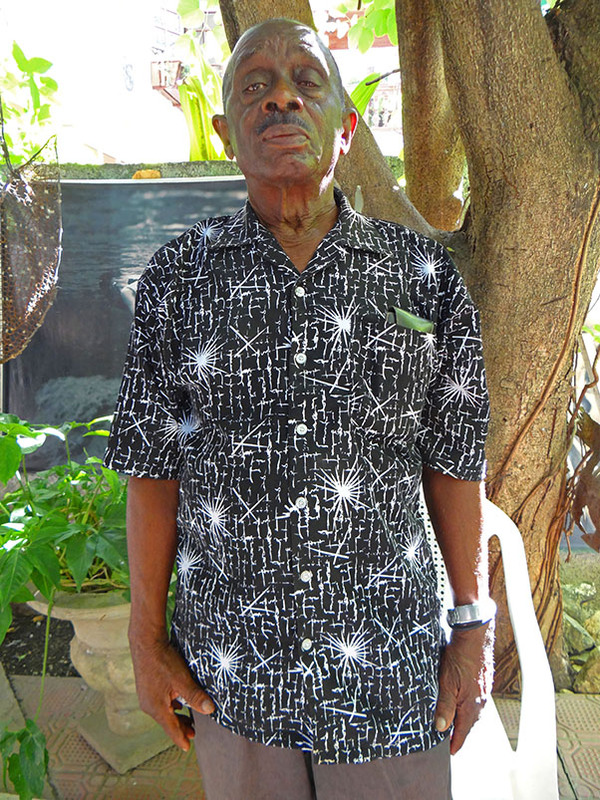 There is no second generation of Felixes, carrying on his tradition of Vodou art. Perhaps this uniqueness as a houngan or Vodou (voodoo) priest will elevate him to the top ranks of conversations, articles, speeches, and books about Haitian art in the future. At least in certain group exhibitions, he is getting his due. Felix was part of the significant “Kafou: Haiti, Art and Vodou” at Nottingham Contemporary, a museum in Nottingham, England from October, 2012 to January, 2013. This is well and good. But where is the solo show Felix so profoundly deserves? When is the bold curator at one of the major U.S. museums with substantial Haitian art collections going to step up and present a comprehensive, decade-by-decade celebration of La Fortune Felix, along with a scholarly catalog with essays by various people? We are waiting for someone to heed this overdue mandate.